Lewis Hamilton has claimed his fifth championship title at the 2018 Mexican Grand Prix but where does he stack up with the all-time greats? 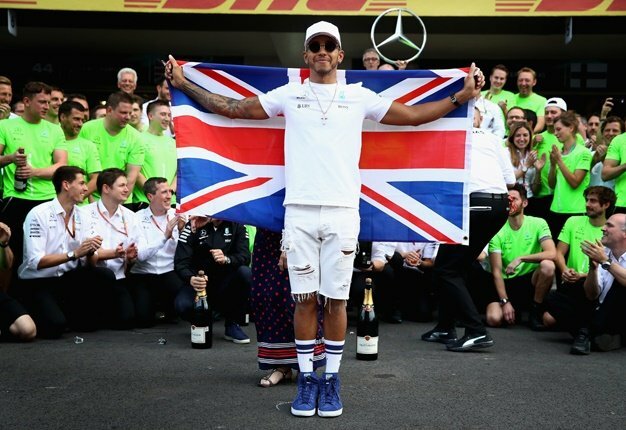 Michael Schumacher, Ayrton Senna and Juan Manuel Fangio are just some of the names that come to mind when you think of F1 legends over the years and Hamilton at age 33, is right up there with the best of them. Hamilton eclipses a few competitors on the list including his closest rival Ferrari's Sebastian Vettel who has four championship wins. Michael Schumacher remains the standout name on the list with seven titles to his name. Hamilton still has enough time to be able to break more records and challenge for the title once again.